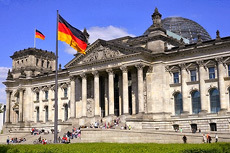 The seat of the German Parliament, the Reichstag, is closely linked to the modern history of Berlin. Burnt down under suspicious circumstances in 1933, stranded in No-Man's Land during the Cold War, and then "unwrapped' as the home of the German Parliament once again in 1995. The glass dome on the roof of the building, designed by British architect Sir Norman Foster, symbolizes the transparency of modern German government institutions. 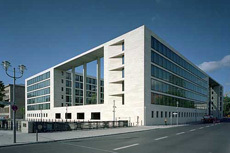 Few buildings have experienced Berlin's turbulent history to the extent of the German Foreign Ministry. Built between 1934 and 1940 as an extension of the German Reichsbank, the building was used by the National Socialists to formulate economic policy and the financing of the Second World War. More recently, it was here that the treaty for the reunification of Germany was signed. Although the building has been modernised and expanded, care has been take to preserve its character and unique history. 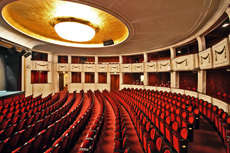 Opened on 8th October 1921, The Theatre am Kurfürstendamm is an important cultural venue in the heart of West Berlin. Badly damaged during the Second World War, the theatre was rebuilt in1946 and reopened the following year. Since then it has housed performances starring some of Germany’s most revered actors and is one of the best-known and most well-respected private theatres in the country. The ICD House of Arts & Culture (ICD House) is a multi-purpose location that has been designed to support Berlin’s civil society and the city’s diverse cultural communities by providing a platform for their activities. 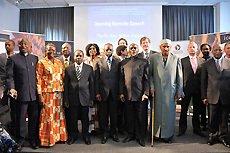 Run by the Institute for Cultural Diplomacy, its purpose is to raise awareness of and celebrate the city’s cultural diversity amongst the general public as well as providing a forum for discussion on salient political and cultural issues from across the world.